Created by Joana Ricou, George Davis, Eric Gilmore, Thiago Hersan, Qiuming Li, and Dr. John A. Pollock, Painting with Natural Selection is an interactive installation that uses evolution and scientific experimentation to create an artistic experience. Using an open source simulation engine called Evo-Repro, the project merges art and science, making evolution visible, beautiful and interactive. 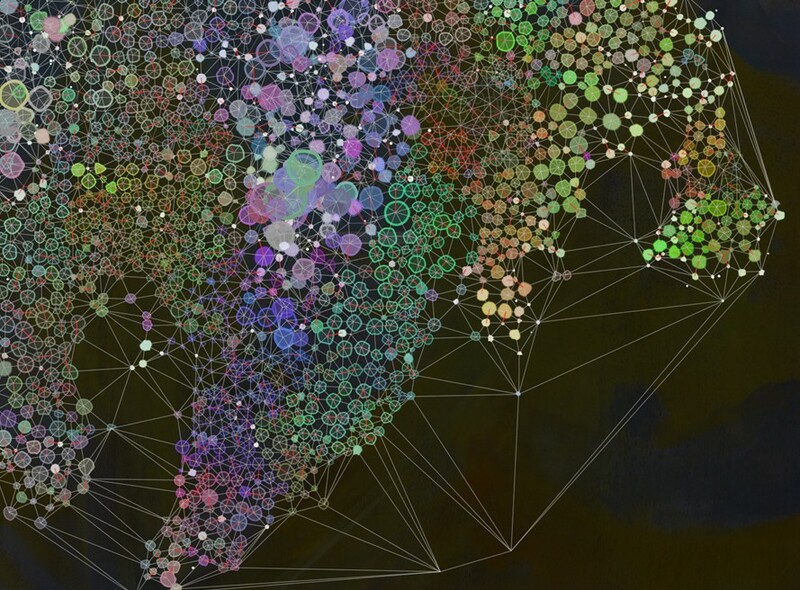 The software behind Painting simulates virtual organisms growing and evolving over time. The organisms in Evo-Repro are loosely based on bacteria. They live on a digital landscape – a digital image. Users affect the evolution of the simulated organisms by painting on a background. 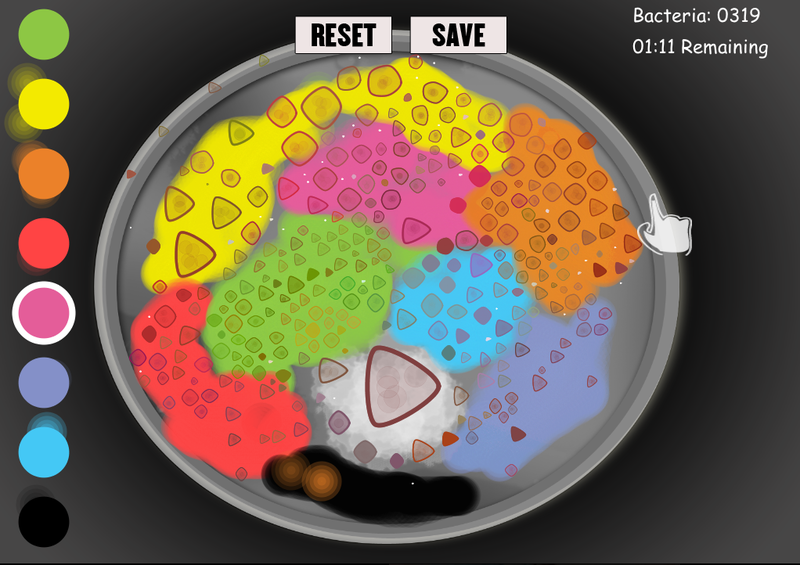 The concept for the simulation was based on the organisms’ ability to “eat” particular RGB values so, as users paint different colors, they are effectively providing different food or environments and the organisms respond accordingly. For example, a blue organism will grow and reproduce on a blue background. If the background is changed to orange, the blue organisms will shrink or die. Soon, new organisms are born that are better suited to the environment and compete with organisms that are less well adapted. Overtime, the population evolves to match their background. In cases of extreme change, the population might not survive. Following the development of an interactive version of the simulation, a kiosk was installed at the Children’s Museum of Pittsburgh in the winter of 2012-13. Painting with Natural Selection served as both an educational tool, where children conduct evolutionary experiments, and a medium to create digital art. The goal of this installation was to enable children to develop an intuitive understanding of life’s adaptability, the impact of our actions in the virtual world, and ultimately, an awareness of our footprint in the real world. This project is supported in part by a Spark Award from The Sprout Fund.